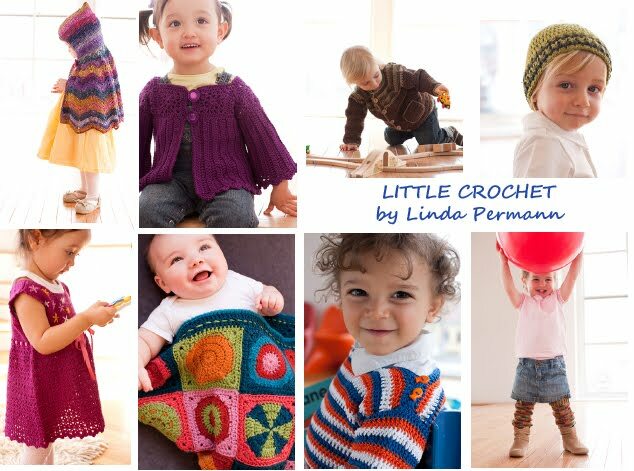 I first saw this book Little Crochet about 6 months ago at TNNA in Long Beach, where the author and my friend Linda Permann showed me a brief preview. 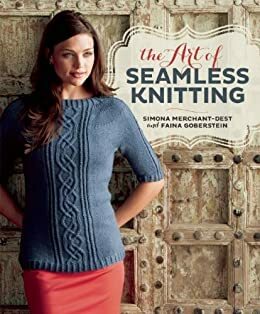 As soon as you see the cute little booties on the cover, you know that the book will be filled with fresh, modern and wearable outfits all of us want to make for babies and toddlers in our lives. Being able only to flip quickly through the pages, I knew I liked the book and wanted it in my library! Besides the obvious, offering beautiful designs, the book is very well organized and thought out. It offers not only garments, accessories and toys for babies, girls and boys, but with most projects there is also a suggestion for yarn and color substitutions to personalize. As any good crochet book, the patterns are written in written-out instructions with symbol diagrams, which I love. If you are a beginner, this book is also a great resource to get you started. Linda explains the crochet basics, illustrates how to do all the stitches, including finishing techniques. In addition, she helps you with choosing the right yarn, choosing the right size, measuring your gauge correctly, and much more.